The case method, which is used across all HBS classes, places students in the tough position of the decision maker. Often operating from the perspective of the CEO, students challenge each other in debates about how to best solve the real business and government challenges posed by the cases. In LEAD (Leadership and Organization Behavior), one of the HBS courses that makes up the school's "required curriculum", students set aside quantitative metrics to examine the human side of business leadership and the role it plays in designing effective enterprises, aligning organizations with visions, and motivating people amidst growth and change. This fall, first year students in Section H have had the privilege of peeling back these layers of leadership and change management under the direction of one of the top CEOs in the world, Lawrence "Larry" Culp (HBS '90). 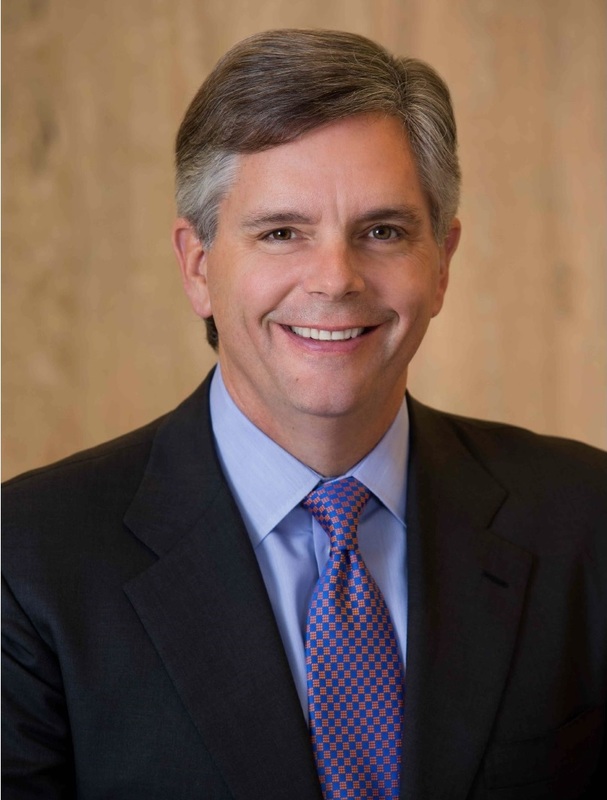 Prior to joining HBS's faculty, Larry spent 14 years as the CEO of Danaher Corporation. 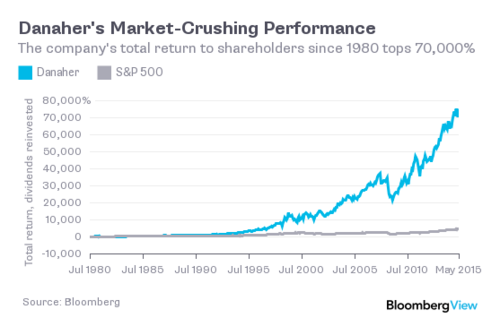 Under his leadership, Danaher's revenues and market capitalization increased approximately five-fold to nearly $20 billion and $50 billion, respectively, while at the same time shareholder returns grew five times that of the S&P 500 Index. Despite Danaher's continued success, Larry decided in 2014 to hang up his jersey and make room for the next chapter in his life. "I knew I wouldn't figure out all that I wanted to do while I was CEO," Larry told The Harbus, "but I did make one commitment, to be the Board Chair at Washington College, my alma mater". After taking a break to spend time with his wife and three children, fish in exotic locations and weigh his options, Larry found himself drawn to the world of academia. The opportunity to help mold the next generation of leaders was "hard to resist," Larry says, given that "one of the major challenges we have as a country, and the world for that matter, is the state of our leadership, broadly defined". So, 25 years after his graduation, Larry was back on the HBS campus. Only this time he would be the one dishing out the cold calls. What made this return even more special is that Larry was being welcomed back to campus by his own LEAD Professor, a freshly minted PhD at the time, who is better known today as the Dean of Harvard Business School, Nitin Nohria. As Larry sat in his office chair, he began to reflect on his experience as an HBS student. "I can remember very vividly getting that letter," he reminisced, "back in the day when it was a letter." Larry had left behind a technology consulting career at Arthur Andersen - now known as Accenture - in pursuit of something closer to General Management. "I wanted to be closer to a traditional business where we had customers and not clients, where we had a real sense of daily competition," he explained. This transitional period, however, was no rosy picture. "Make no mistake - for me HBS was challenging," he admits, thinking back to the torrent of cases in the first year, "I was nobody's Baker Scholar". Despite the academic rigor and competing priorities at HBS, Larry remained intentional about sticking to his career objectives. In an environment, much like today's, in which "there was a heavy banking and consulting presence," as Larry described it, he chose to spend his summer doing a manufacturing project in Racine, WI for Case Corporation. Working in a big factory where tractors and construction equipment were built was a stark contrast to anything he had previously experienced. Larry opened up about his motivations: "the Japanese model and German model of manufacturing were seen as the future and there were very few people who felt that US manufacturing had a future, which made it even more interesting. Perhaps it was the contrarian in me." Larry returned in his second year confident in his decision to pivot careers, but he continued recruiting in search of a firm with a leadership team and operating model he felt could to compete with the foreign firms he admired. With this in mind, Larry set forth on a robust independent search, eventually cold-calling George Sherman, just 10 days after Sherman's appointment as Danaher's CEO. Following an invitation out to D.C. the two met in person and ended up hitting it off. During their engagement Larry learned more about Sherman's vision to bring about world-class manufacturing and innovation, which Larry found so compelling that he accepted an offer from the firm. Inspired by a leadership opportunity that wouldn't pigeon-hole him - geographically or functionally - he took the offer not knowing what he would be doing or where he would be going. This was a chance Larry felt he could take coming out of HBS. In 1990, Danaher was a public company, but still a fragmented collection of primarily domestic original equipment manufacturer (OEM) oriented businesses, with under $800 million in annual revenue. Larry began his career under the obscure title of Marketing Projects Coordinator, overseeing a product launch at a recently acquired company. His instructions were clear: "don't screw it up". Larry managed to follow those instructions and the product launch remains one of the most successful in Danaher history. That marketing role taught him valuable lessons he couldn't learn through cases alone. Larry recalled that HBS stressed the importance of being able to bring people along in a corporate setting, but that executing on that was a blind spot for him early in his career. "It's not about being the smartest person in the room. It's not about having a Harvard MBA," Larry says, "it's about bringing everybody around a particular objective or goal, having them feel good about it and catalyzing around that action." It was clear to him that this is what leadership entailed, but he acknowledges that he was far from being good it at. There are no two ways about it, Larry says, "it takes reps; it takes practice. You have to practice." The learning curve was steep, but Danaher's culture of winning and continuous improvement fit his competitive spirit. Larry describes a culture where "folks who were delivering and compatible with the culture were recognized and rewarded," and how it was quite the opposite for those exhibiting "anything close to political behavior," as he describes it. Over the next decade, as Larry continued to deliver results, he was granted hands-on exposure to international expansions, innovations across operating companies as well as Mergers & Acquisitions. In fact, he happily never had to turn down an opportunity presented to him within Danaher. One of his greatest challenges came in 1998 when Larry was tapped to run his first large P&L after Danaher purchased Fluke Corp. Based in Connecticut at the time, Larry described being "dropped off in Everett [WA]" to lead a 1,500-person local workforce, despite not having been part of the diligence team. As Fluke's President, he spent the next 18 months commuting from Hartford to Seattle. Each role came with its own set of challenges, but a healthy dose of humility allowed him to weather the storms. New acquisitions such as this were as much about learning as they were about teaching their Danaher Business System (DBS) model. A homegrown version of the world-renowned Toyota Production System, DBS has been a core component of Danaher's continued success. DBS exposes management to an array of continuous improvement tools, which they then apply during week-long visits to team meetings, factories and labs. No company acquired by Danaher is exempt from applying DBS tools. The Fluke acquisition, however, was a prime example of how the learning process is a two-way street. Fluke's unique positioning in China, Larry says, "taught Danaher how to go-to-market in China as well as how to market and sell both direct and through distribution". Using the DBS methodology, Danaher was able to leverage these market insights across its portfolio. Following the successful integration of Fluke into the Danaher family and his eventual appointment to Danaher's Executive team, Larry found himself in the position of Chief Operating Officer. He would enjoy a brief stint as COO until Sherman announced he would be retiring and that Larry would be his successor as the CEO of Danaher. "I didn't leave HBS thinking I would be a CEO," Larry says, "HBS was that humbling for me". Yet, at the age of 37, he was faced with what he describes as the fun and difficult challenges of leading a Fortune 500 company. Balancing the short-term and long-term is one of those challenges, Larry explained, "CEOs are paid to have the longest time horizon of anybody on the team, but CEOs are often the ones who get fired when you miss a couple of quarters". Assuming CEO responsibilities in 2001, amidst infamous corporate scandals, Larry saw the self-destructive nature of hubris among his peers. Enron's scandal, which took place under the leadership of another HBS alum, was an example of corporate "innovation" and growth that Danaher did not want to be associated with. Instead, Larry and Danaher would make headlines for different reasons. During Larry's tenure as CEO, he deployed nearly $25 billion to continue their proven acquisition and DBS deployment strategy. Danaher increased international sales from 40% to 60%, which included growing sales in China from $300 million to $3 billion, building on the early insights gained from the Fluke acquisition. The firm's success landed Larry a top 50 ranking among the best-performing CEOs in the world and earned Danaher recognition as a top performing company. 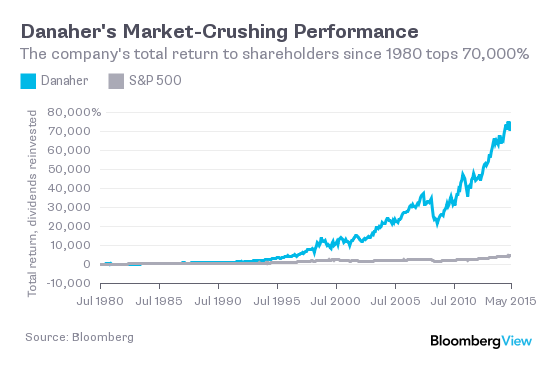 Over his last 5 years as CEO, Danaher reached a peak 50% gross margin and outperformed the S&P 500 by a margin of 5%. Danaher remained a well-oiled machine, but the company's success didn't come without taking risks. Larry points to the $6.8 billion acquisition of Beckman Coulter in 2011 as the biggest risk of his career. A once highly coveted company, Beckman Coulter was a vastly oversold stock, facing severe regulatory challenges and the sudden resignation of their CEO. "Many people", Larry says, "felt it was too risky, particularly at that size, for anyone to take on". Since this was Danaher's largest acquisition to date, "the Beckman Coulter decision would take me to retirement, one way or the other," Larry joked. Fortunately for Larry, it would prove a success. And just like that, Larry found himself back at HBS, his old stomping grounds. Working for HBS - only his second employer post-graduation - has been an exciting cross-industry transition for him, but make no mistake Larry says, "learning to teach is no small challenge." Although part of a CEOs responsibilities involves developing talent, Larry says, "just because I was the CEO of a highly successful company doesn't mean I waltz into the classroom and magic happens. There's work to do!" A mindset like this would likely benefit the many career-switchers in business school who will be venturing into new roles, riding the waves of past successes and impressive credentials. While Larry may not possess decades of teaching experience, his past career speaks to the material that sits at the core of LEAD. In fact, his contributions are already being recognized by his peers. Professor Joshua Margolis, the course-head of LEAD, describes Larry as a voracious, open-learner and "someone who makes all around him better". Larry's insights, Professor Margolis says, have led to the adaptation and expansion of core course concepts for better application in difficult practical situations. Professor Margolis also had this to say: "he picks up key nuances in cases and conveys to the teaching team how those nuances matter in the decisions leaders face and the actions they take." Larry has also been pushing his students to take classroom discussions to the next level. He has placed an emphasis on closing the gap between the divergent conversations of the what (strategy) and the how (action plan). Great leaders, Larry says, do more than just entertain both, they ensure that these are one conversation. "It's easy for us, in the rarefied air of an HBS classroom, to talk about the 'what'. A lot of us aspire to do that post-graduation, but it's in the 'how' where you win or lose, it's the 'how' that determines whether or not you create value," Larry added. This transition from the what to the how - a blind spot early in his own career - is what Larry continues to improve with Section H, who he describes as "the best section at HBS". Of course, this endorsement will be contested by the other nine sections. When asked about change management, Larry says that they are "moving beyond 'communication' and 'aligning incentives' to broaden their repertoire," adding that "there's a lot more in the messy day-to-day reality of leading and driving change and performance than the bully pulpit and carrots and sticks". Larry's teaching style has been well-received by members of Section H, whose critical mid-semester feedback for him was that he wasn't sharing enough leadership anecdotes from his time Danaher. In response, Larry made an effort to weave relevant first-hand accounts into his different case wrap-ups. After a semester of LEAD and the many first-hand leadership stories, Nathan Bruschi, a former Intelligence Officer, says that Larry has inspired him to pursue general management for the summer. Nathan's classmate, Emmanuel Forlemu added that a semester with Larry left him with the impression that "[Larry] was the type of leader who really cared about his team and people". Outside of faculty meetings and classroom discussions, Larry also manages to carve out personal time for students. During one-on-one meetings and group lunch discussions, Larry takes time to field student questions about their careers, a pressing topic for MBA students this time of year. On top of juggling cases, networking functions and final exams, students must also confront critical decisions about their career paths. A common set of questions Larry has encountered have come from students with ambitions of one-day running businesses. To Larry's dismay, he says, "some folks think there are better routes to real leadership roles than roles that actually allow you to practice real leadership." To Larry, one can only study swimming for so long before having to actually swim. Many students, Larry says, have proposed "getting exposure" for a few more years after school, to which Larry says he's "not convinced that that's all that more helpful if your objective is to run a business. I'm a big believer in getting real reps in real leadership situations as being the best preparation for ultimately being a general manager, or otherwise, running a business." He later added, "through the course of two years at HBS you get a lot of exposure to different companies, different industries, different topics, but at some point you have to jump in the pool". Before wrapping up the interview, The Harbus asked Larry what type of opportunity it would take for him to put his jersey back on. "I'm in a good place, personally", says Larry, who continues to receive flattering offers, but doesn't see himself returning to the corporate world in a full-time capacity. Though Larry also serves on the T. Rowe Price board in addition to Washington College and Wake Forest University while advising and investing in a number of businesses, he remains content with this flavor of busy that's on his own time table. At a youthful 53 years of age, there is plenty of time for Larry's plans to take a detour. In the meantime, however, he remains an invaluable resource to students and faculty on the HBS campus. Thank you to Anja Anliker for sharing the Larry Culp quotes, placed at the beginning of each section. These are some of the statements Larry made in class that she kept note of throughout the semester. Alula Eshete (HBS '17) is a first-generation Ethiopian-American and CEO of The Harbus. 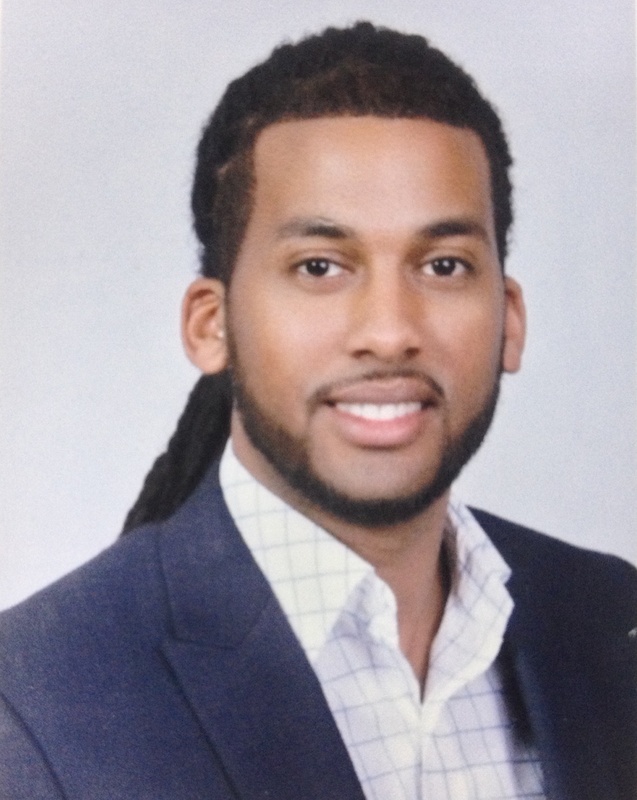 Prior to HBS, he spent 4 years working across several divisions of Abbott before joining GE's Global Growth & Operations group in Ethiopia. He enjoys exploring the world, making people laugh, and advocating for the voiceless.